Landlords are responsible for making sure their property is safe. This includes the interior of the property, as well as the exterior of the property. A landlord could be held liable if a child is injured due to an exterior hazard on the landlord’s property. Here is what every landlord needs to know about the attractive nuisance doctrine. The purpose of the attractive nuisance doctrine is to protect children. 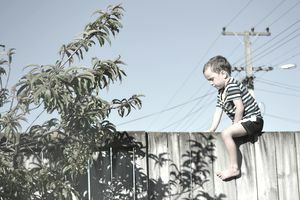 An attractive nuisance is anything on the property that is both dangerous and enticing to children. The idea is that the child would have had no desire to enter the property if it had not been for this object. The object has the potential to cause harm to the child. For example, a swimming pool could cause a child to trespass onto a property. It is possible that the child could drown in this swimming pool. What Could Make a Landlord Liable? Man-Made: Landlords will usually only be responsible for objects on the property that were created by man and maintained by the landlord. They will not be responsible for natural features on the property, such as a pond. The Landlord Has Reason to Believe the Object Could Attract Children: The next condition of the attractive nuisance doctrine is that the object on the property is attractive to children. The landlord must have a reason to believe that this object could cause children to trespass onto the property. The Landlord Has Reason to Believe the Object Could Seriously Injure a Child: The next criteria a judge will look at is whether the landlord had reason to believe that the object could cause injury to a child. Since children can get injured on anything, a judge may rule out structures that are ordinary on a property, such as a rooftop or a staircase, as long as they do not pose an unusual hazard based on a structural issue or similar known hazard. The Cost to Fix the Hazard is Reasonable: The cost to fix the hazardous object does not put a heavy burden on the landlord or interfere with the way in which the object or the property is used. Who Is Considered a Child Under the Attractive Nuisance Doctrine? The attractive nuisance doctrine does not set a specific age range on who is considered a child. Each situation will be reviewed on a case by case basis. The criteria the judge must consider is whether the child has the ability to understand that the object is dangerous or has the potential to be dangerous. Therefore, it is based more on the maturity of the specific child. Water Features: This can include swimming pools, hot tubs, fountains, waterfalls or wells. Construction Debris: Such as a pile of metal or lumber. Machines: Such as tractors, bobcats, lawnmowers, golf carts or all-terrain vehicles. Play Equipment: Such as trampolines, bounce houses or climbing walls. Appliances: Such as a refrigerator or freezer where a child could get stuck inside. How Can Landlords Protect Themselves? In general, a landlord can protect themselves by showing they have followed all building and property safety codes. They should also take steps to remove the hazard or prevent accessibility to the hazard. Remove the Hazard: The first option to prevent injury on your property is to remove the hazard completely. This is an easier solution for objects such as construction debris or old appliances. Secure the Hazard or the Property: Another option is to secure the object or the property in general. This could include storing a machine in a shed with a lock instead of out in the open or putting a fence around a swimming pool. Follow Your Local Law: An additional way to protect yourself is to make sure you are up to date on all building and property inspections. You can help your case if you can show that your property complies with all health and safety codes. Talk to Your Insurance Company: You can also call your insurance company to see if they have a list of items that would be considered attractive nuisances, as well as any recommendations they have for negating these hazards. Signs: Posting a sign that says no trespassing, keep out or danger will not work. This is based on the idea that the child may not be able to read the sign or if they can, does not understand the concept of danger.